Sargent Art 100% Cotton Double Primed Stretched Canvas brings artwork to light. Features soft yet stable 0.5" Paulownia Wood stretch strips. Canvas is suitable for hanging with or without framing. Double acrylic titanium priming is suitable for oils or acrylic. Acid-free. Canvas measures 16" x 24". 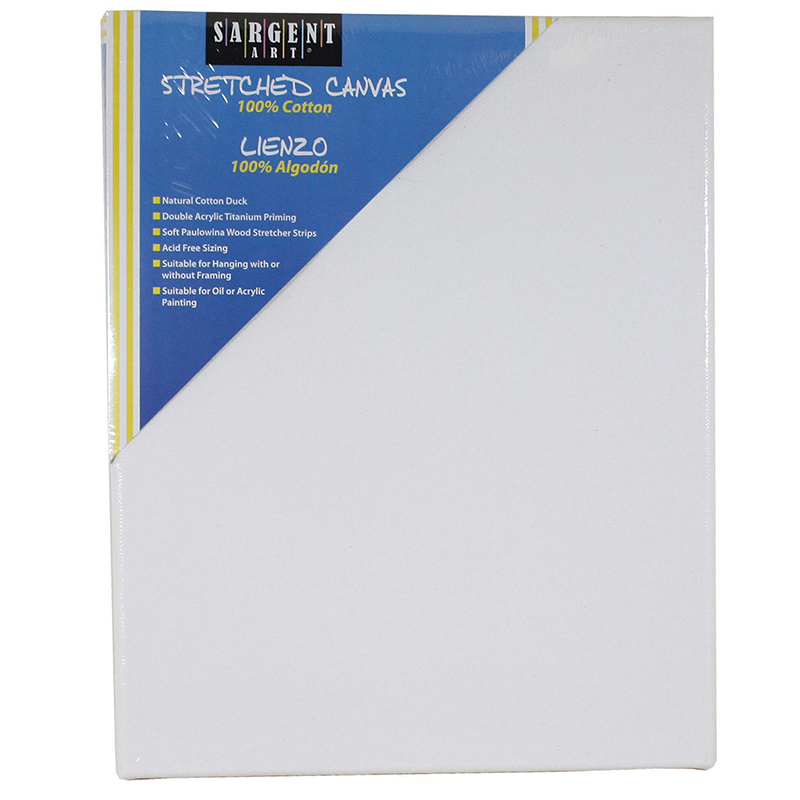 The Stretched Canvas Cotton 16x24 can be found in our Canvas product category within the Arts & Crafts. 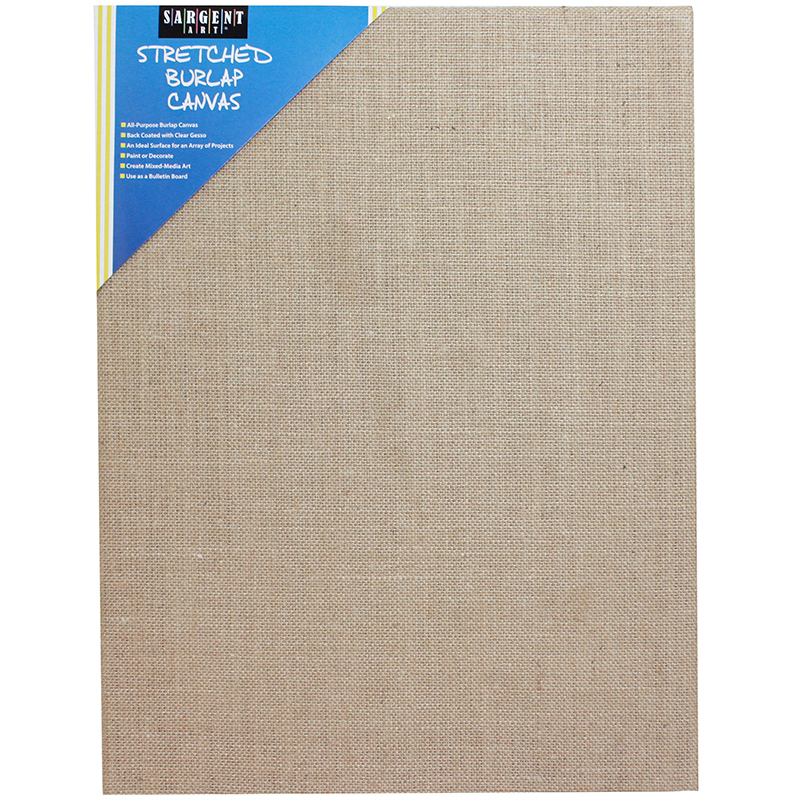 Sargent Art Burlap Stretched Canvas is great for painting and crafting, and can also be used as a bulletin board. Back coated with clear gesso. Pine wood frame stapled on back. Measures 16" x 20".